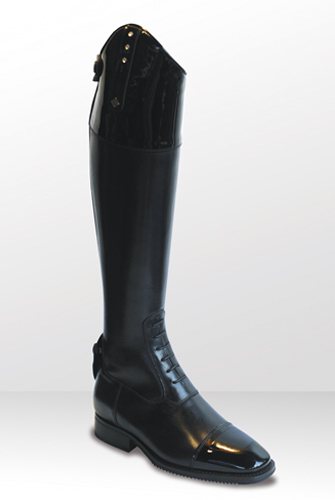 HorseSmart's Stylish Women's and Men's horse riding boots. Horse Riding apparel at reasonable prices. 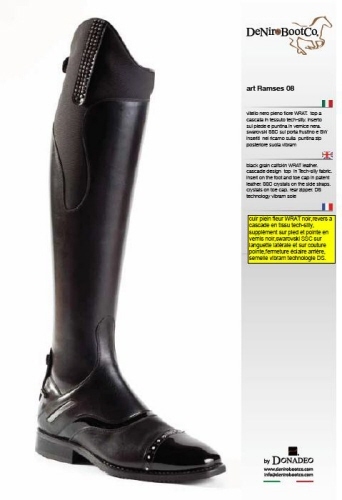 Fashionable Equestrian Riidng Boots, De Niro Dimante Riidng Boots for all riding disciplines. 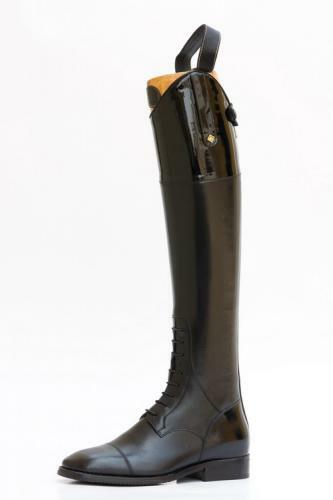 Deniro Rolex Riding Boot, Elegance and Fit, De Niro Equestrian Boots Rolex Five Diamond Patent Design with Crystals & Patent toe cap. 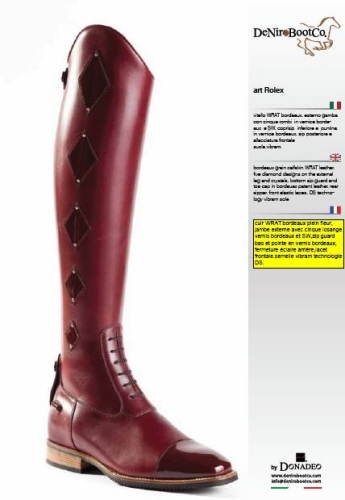 De Niro Riding Boots - Ottaviano Patent & Crystal Top Riding Boots De Niro riding boots ideal for all equestrian disciplines. 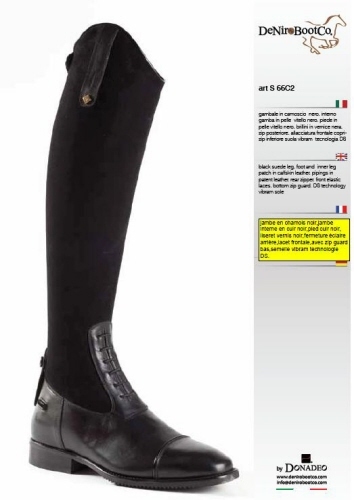 Particularly popular as an ever popular riding boot in the dressage fraternity, the De Niro Ottaviano long riding boot, with patent top and toe gives that added fashion statement...De Niro Boots - with Swarovski & Patent tops. ...De Niro Riding Boots - Leather riding boots with Front Lace and Patent detailing. 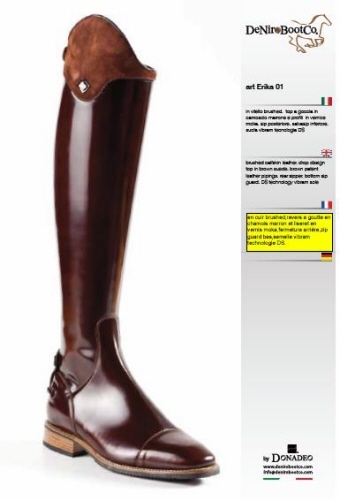 These Long De Niro Patent Riding boots have a Patent Trim and front laces, .. Select your Boot Size above before shipment one of our sales consultants will contact you, for more sizing detail this will give you the highest potential boot fit. Select your Boot Size above before shipment one of our sales consultants will contact you, for more sizing detail this will give you the highest potential boot fit. Select your color.